You know something's up when four Christian rockers beat out 75 other hopefuls to win a Best Band contest sponsored by a top commercial radio station. But that's the way it goes for Sanctus Real, an Ohio-based quartet that rocks with as much fire and force as the best of contemporary bands. With three previous indie releases under their belt, Sanctus Real is set to bust wide open with SAY IT LOUD, their Sparrow Records album debut due in December of 2002. As 10th-graders at Toledo Christian School, schoolmates Matt Hammitt and guitarist Chris Rohman formed Sanctus Real to serve as musical backdrop for youth worship services. Thanks to loving families, both committed their lives to Christ at an early age. Once Matt and Chris started writing and playing together, the two realized they could best serve God by using their musical gifts to reach out to others. Says Chris, "Seeing the influence music can have on people, especially when you write and play from the heart, we were inspired to write good music with a positive message." Adding drummer Mark Graalman dramatically expanded their sound. Mark had had his life turned around as a young teen when he attended a weekend youth revival. "Seeing 2000 kids on fire for God grabbed my attention and changed my heart," he recalls. The band had no trouble finding gigs, even when they were still in high school. After graduation, Sanctus Real kicked it up a notch, especially when Colorado native Steve Goodrum joined the line-up as the new bass player. The son of a pastor and a former Bible College student, Steve provided the last link in the Sanctus Real chain. Over the years, the band has released a string of increasingly successful independent CDs including last year's "Nothing to Lose," produced by Skidd Mills. In 2000, they entered that Best Band contest sponsored by WIOT-FM, a local classic rock station. "We heard about it and entered at the last minute," remembers Matt. "We came in #1, then got a chance to play our first club show, followed by several months of touring. So far we've played all over the country." The next step required moving up from local indie band to signing with a major label.That willingness to take on challenges has typified the members of Sanctus Real from the very start. Not surpassingly, the guys took a hands-on approach. "Chris and I went to GMA [Gospel Music Association] Week in Nashville with our backpacks filled with copies of our last indie CD," says Mark. "We passed them out to everyone we saw. A week later, the phone started ringing off the hook. Sparrow execs flew to Toledo, saw us play, and the rest is history." Most importantly, the band has seen real life results since coalescing as a band. "People that normally would not respond to our kind of music have found out about us, come to our shows, and had their eyes opened," says Steve. "Some have accepted Christ." Little things can sometimes make a big difference. Sanctus Real came out swinging with 2002's Say It Loud, which produced the best first-week sales of any debut rock record Sparrow had ever released. But don't think raising the bar will impede their mission. All four members will tell you Sanctus Real is about one thing: sharing the good news of Jesus Christ... they just happen to do it with the volume turned way up. "We believe the best music comes when you're open and honest about what's inside you," says lead singer/songwriter/guitarist Matt Hammit. "It's always been a no-brainer for us to sing about what we believe. That's where our inspiration comes from." Together since 1996, Sanctus Real has found no shortage of admirers across Ohio and the upper Midwest. In fact, the band has toured all over the country, playing churches, clubs, bars, coffee houses, any place where they can spread their positive message of hope and faith. Now, teaming with producer and former Grammatrain member Pete Stewart (TobyMac, Tait), they've written and recorded the album of their lives. CCM readers voted the band 2003's Best New Artist, ChristianityToday.com made Sanctus Real "a top pick" for '03, and the Gospel Music Association handed the band two Dove Award nominations. A cover of U2's "Beautiful Day" from the In The Name Of Love: Artists United For Africa benefit album gave the group its first No. 1 hit. Say It Loud, like its name suggests, was about making a noise, establishing a presence. If it had been a boxer, it would have been a bare-knuckled brawler, coming out behind a barrage of punches, hoping to land an early K.O. With their relentless touring, their intense fan-following, and their aggressive yet accessible rock, Sanctus Real has established themselves as one of Christian Music's most compelling and diversified Rock and Roll bands. Affectively communicating to fans their faith in Christ, the band challenges the youth of today with a positive message blended with rock guitars and pop vigilance. Sanctus Real returns with their sophomore release Fight The Tide, divulging the band's welcoming progression both lyrically and sonically. Features "Everything About You" and "Things Like You." 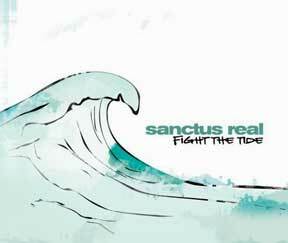 Sanctus Real displays a newfound savvy on Fight The Tide. It doesn't lack for power, but its blows are more strategically placed, chosen with precision for maximum impact. Fight The Tide would be the match that turns them into heavyweight contenders. As the title of the Toledo, Ohio, foursome's album indicates, this is a band that's ready to go the distance. Fight The Tide comes from a line in a song from the band's second album for Sparrow Records, but it contains broader implications about life's ceaseless struggles ? against negative, soul-deadening messages from disposable pop culture and spiritual complacency. "Fight The Tide is about maintaining spiritual integrity," says lead vocalist Matt Hammitt. "It's about what we do in the face of struggles, fears and temptations. We have a choice to whether we will throw in our towel and accept defeat, or accept God's strength and do the right thing. Years from now, we want to look back an know that we did the right things. "Everything on this album was so intentional - the lyrics, the melodies, all of the parts," says Matt. "It wasn't just us jamming on four chords and making it sound cool." Sanctus Real wrote the bulk of Fight The Tide in a month's time and recorded it over a six-week period with producer Tedd T. (Rebecca St. James, Delirious?). That gave the band just enough time to get the songs right but not so much that they lost their edge. "It was a job this time," Matt admits, "but it wasn't something dreadful. We looked forward to the challenge." "It's so much more diverse than Say It Loud," says guitarist Chris Rohman. "We explored every option that we had in the studio. We wanted to find just the right thing to say and the right way to word it. We're fighting to take what's been instilled in our hearts and share the truth and joy that we've found without trying to hammer anything over anybody's heads." But if it's a hammer you want, you might well find it in the pugilistic rhythm section of bassist Steve Goodrum and drummer Mark Graalman. And the songs are the strongest of an eight-year career that included three independent releases before Say It Loud. "The music is just rock 'n' roll, but there's a message behind it," says Matt. "We're portraying what we believe and things that we're passionate about." 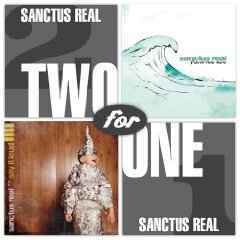 That's an attitude that makes Sanctus Real more than contenders. Some songs, like "Message" and "Deeds," make direct biblical and religious references. Others aren't quite so obvious, and the band members disciplined themselves to avoid turning familiar spiritual metaphors into clichés. Instead, they came up with original ways of expressing their ideas. "Things Like You," with its surprisingly loud acoustic presence, is one of the most challenging songs the band has written. The touching "Say Goodbye" was written as a final farewell from Chris to his great-grandmother, a spiritual leader in his family. "Change Me" came in the wake of the first serious argument Matt and his wife had. "The Fight Song," written by Steve and Matt, has a similar message, one that applies not only to personal relationships but also to petty disputes between believers as well. Songs like the first single "Everything About You," "Alone," and "Closer," with their incisive lyrics and meaty guitar hooks, sport a perfectly matched balance of brains 'n' brawn. 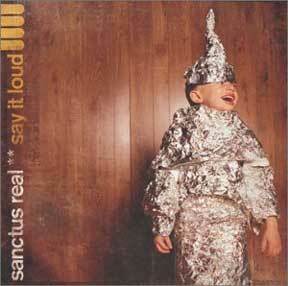 In addition to 2004 radio success, yearend critic's choice lists named Sanctus Real among their top picks. ChristianMusicToday.com asks, "Why can't more modern rock bands be this good" and named the band's Fight The Tide their seventh overall favorite in any genre for 2004. 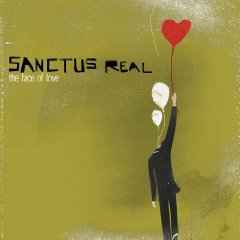 They further commented in their review, "It's clear that Sanctus Real aspires to clearly communicate their faith walk while aspiring to become one of the premier rock bands of their time. They're one step closer on both counts." CMCentral.com readers also nominated Sanctus Real for Rock/Alternative Album of the Year for Fight the Tide and Rock/Alternative Song of the Year and Rock/Alternative Performance for "Everything About You." 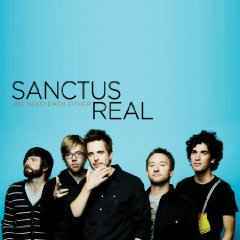 Sanctus Real Named R & R's Most Played Rock Artist Of 2004.